A few years ago I was privileged to head up the English department in a brand spanking new school that was just opening. What an exciting, exhilarating, and exhausting time that was. The English teachers (including moi) worked really hard as a team to build our program from scratch, choose texts and materials, and design activities for every grade and program. Our plan with our seniors was to go with very current texts, written by Canadian authors. Books that provided a useful lens through which those students, who would soon be leaving us, might view the world. Texts which hopefully would help make our graduates better "global citizens." 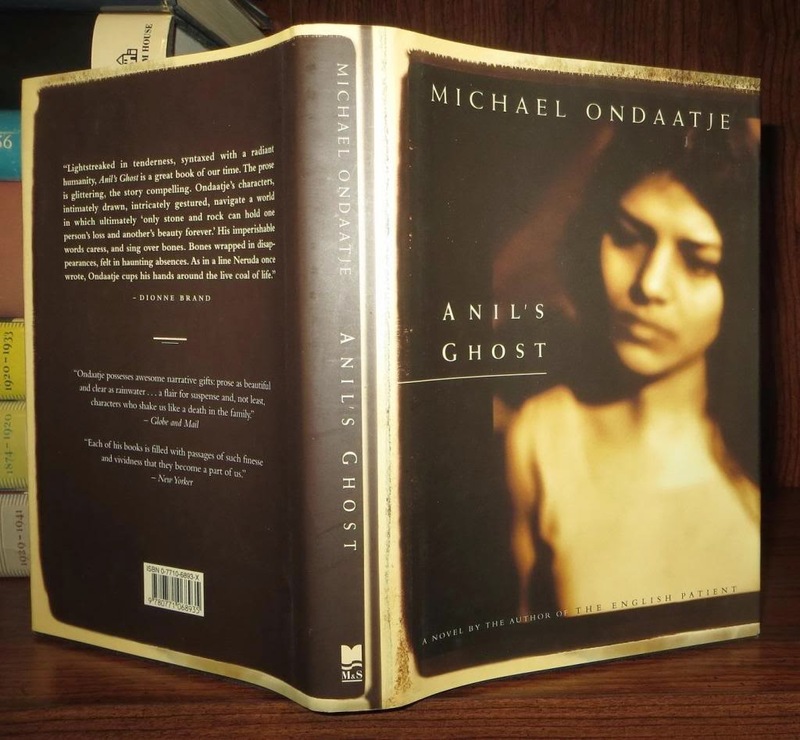 Michael Ondaatje's novel Anil's Ghost filled all of our criteria. A novel written by a Canadian about war in a country most of our suburban-born kids knew little about beyond news reports. A beautifully written book about heroism and friendship, sacrifice and despair, beauty amid the chaos of war, and the importance of history and culture. A difficult book that challenged kids who would be heading off to university, but also a book that was eminently teachable. Possibly the most teachable book I have ever taught...with the exception of To Kill a Mockingbird. Choosing a book to teach to high school students is not easy. I'm trying hard not to rant here about the difficulty English teachers face in choosing course materials. Okay... just a little rant. A teachable book does not mean that the student has to immediately fall in love with the book. The book might be hard, and might deal with difficult ideas. But, with careful shepherding, tons of discussion and thoughtful activities, students can come to love and admire the characters, even if the book is not "fun" to read. English teachers must search for course texts that hopefully satisfy all the requirements of the curriculum, and also instill a love of literature. And of course once we think we've found the perfect book, it's never perfect enough to satisfy all the critics (and self-styled experts.) Those who say we must teach Shakespeare in every grade, should jettison "irrelevant" classics like Shakespeare, must teach media, teach too much media, must teach grammar, focus too much on grammar....and on it goes. Okay...I'm done. No more ranting. I want to talk about beautiful books. 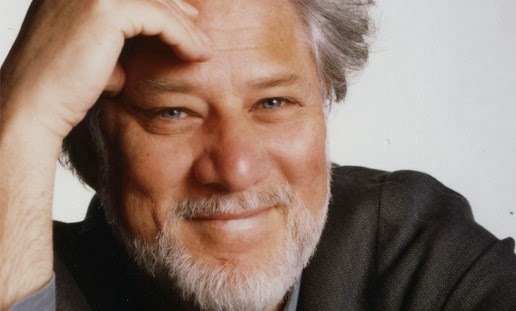 This is Michael Ondaatje. Native born Sri Lankan, now a Canadian citizen. Poet, novelist, wonderful writer. And a very cool guy. 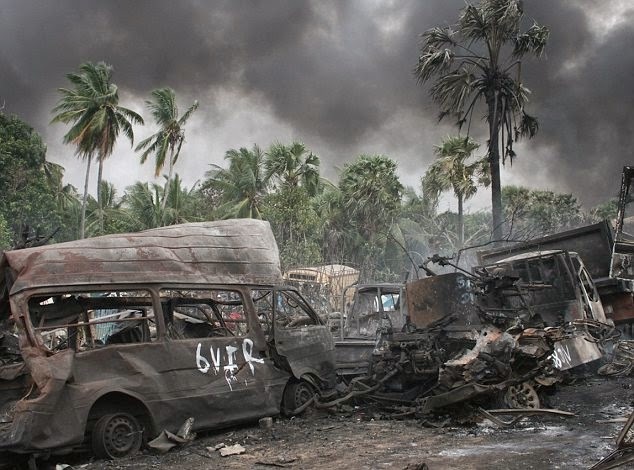 Anil's Ghost takes place in war torn Sri Lanka in the 1990's. It is partly a mystery novel, in that the main character, Anil, a forensic archaeologist, must solve the mystery of a murder victim found at an archaeological dig site. Who is he, this modern skeleton among the ancient bones, murdered, then moved, and eventually found at a government controlled site? Sailor, as she names him, becomes for Anil a symbol of all the nameless victims of war. As she says,"Who was he? This representative of all those lost voices. To give him a name would name the rest." The novel is not a straightforward narrative. 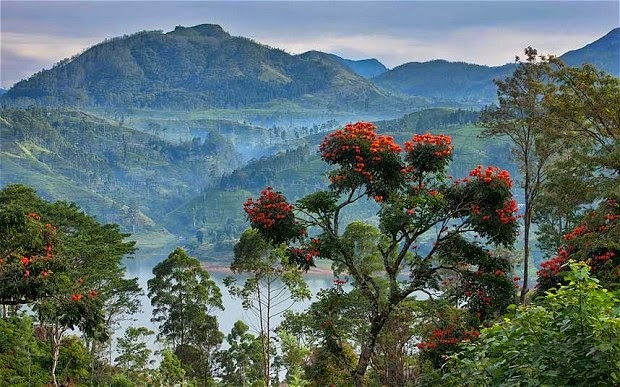 It's very post-modern in its structure, almost chaotic, flipping back and forth in time with short, seemingly disjointed, chapters, interspersed with bits of poetic description of the Sri Lankan countryside, lists of victims of the war, and flashbacks. But when the reader perseveres the story reveals itself. The disjointed bits become joined. Chaos becomes more ordered. Or at least more understandable. And isn't this exactly what happens when we are thrust into a new situation as Anil was at the beginning of the book? An outsider now, but Sri Lankan born, she returns to her native country thoroughly westernized and must re-acclimatize. Ondaatje describes Anil's confusion, her culture shock, her feelings of being assaulted by the noise and the heat of the capital city of Colombo. 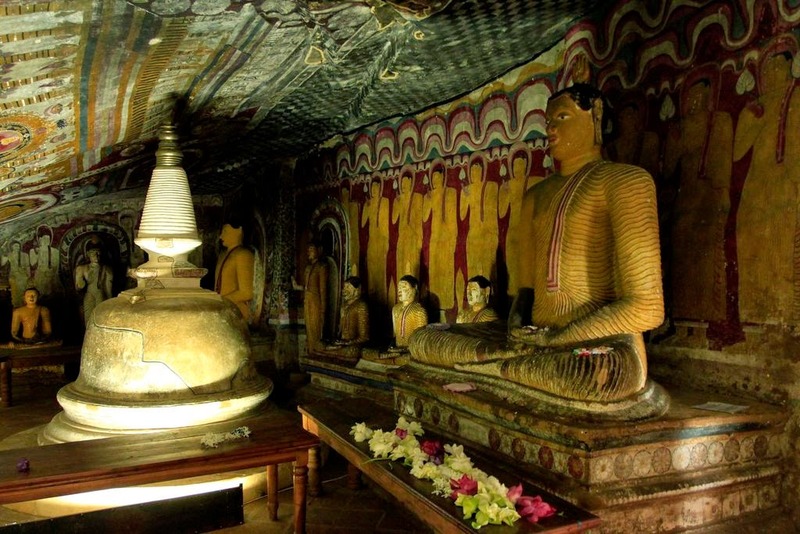 And then her gradual shift to someone who understands her country again, who fears the destruction of, not only its people, but also its historical and cultural treasures, like the stunningly beautiful Damburra Cave Temples below. And who eventually assumes at least some responsibility for its future. Anil's Ghost is a wonderful book, an important book, I think. If you haven't read it, you should. I started thinking about Michael Ondaatje's novel this week because I am about to begin reading A Thousand Splendid Suns by Khaled Hosseini for one of my book clubs. 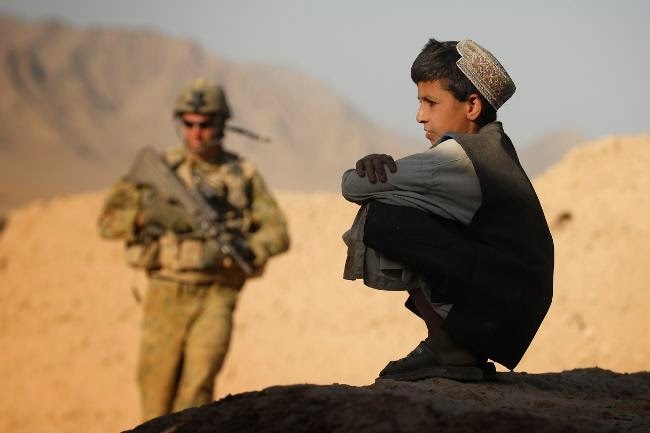 Hosseini, like Ondaatje, left his homeland, in this case Afghanistan, as a child. His family eventually ended up in California. And like Ondaatje he handles themes of war and chaos, loss and love, family ties, sibling bonds, and cultural bonds and displacement. I read And the Mountains Echoed, last fall and loved it. 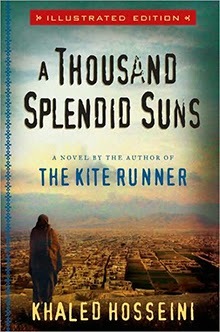 It's Hosseini's third novel, following the success of first The Kite Runner and then A Thousand Splendid Suns. Reviewers in both the New York Times and in The Guardian say it's the best of the three, and in their praise for Hosseini's third book, seem a bit dismissive of the charms of the first two novels. You can read these reviews here and here. I was captivated by And the Mountains Echoed. By the myth of the "div" which opens the novel, a tale of Baba Ayub and the tragic choices he must make in order to save his family. By the stories of the havoc wrought by decades of alternating war and reconstruction and more war. By the characters who must muddle through chaos, poverty, and loss and betrayal and who move on and away and, like Ondaatje's characters, come back again. And throughout I was captivated by Hosseini's description of the Afghan landscape which permeates the lives of all the characters even when they live far away: "She shuts her eyes, ...and she finds behind her eyelids hills that stand soft and a sky that stands high and blue, and the sun setting behind a windmill, and always, always, hazy strings of mountains that fall and fall away on the horizon." 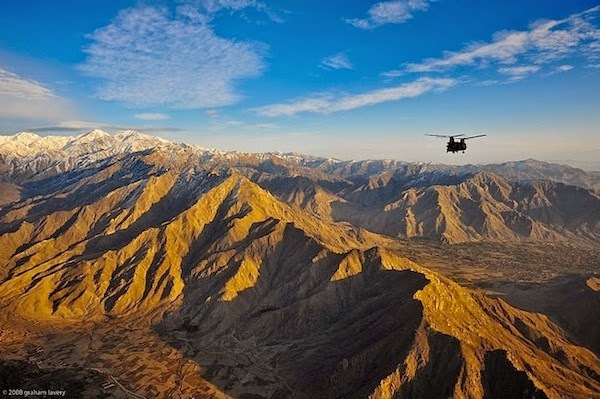 And the Mountains Echoed deals with the many types of ghosts that the war in Afghanistan creates. Not directly with the war itself. We get enough of that on the nightly news. I won't tell you the end of the novel, in case you want to read it, except to say that it's a hopeful ending. One of reconciliation and reunion, if not exactly the one you might have imagined as you read the book. Books about war always deal with ghosts in some way or other. Once we were finished reading Anils' Ghost, I always asked the kids, in one of our class discussions, who or what they thought Anil's "ghost" was, and I always relished the verbal tussle this question evoked. There were so many different answers. I guess thinking about that novel evoked a few ghosts of my own. Memories of the struggle to teach kids to care about books, even challenging books. I was sorry to hear from former colleagues how disappointed some of them are that Anil's Ghost is no longer on the curriculum. Not that it's any of my business anymore, but I do hope it wasn't abandoned because kids think that it's "hard." Sigh. Must not rant, here. Must move on. It's just, I think it's a shame. Kids can do "hard" things; should do hard things. Give them a difficult task, and the support they need, and they will always surprise us. Okay... moving on. I love Michael Ondaatje's quote about endings, that the best ending is "an open door that you can't see too far out of." I guess an open door invites us to walk through, to the future. 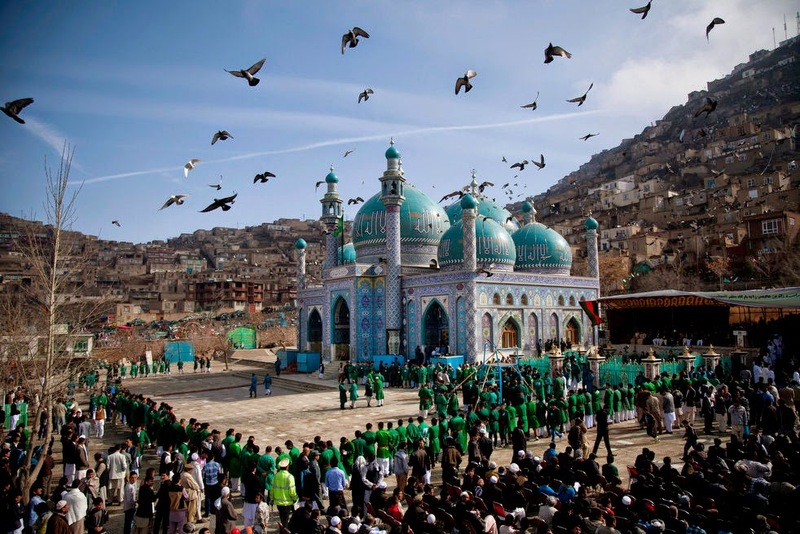 I have great hopes for A Thousand Splendid Suns, described as the story of Afghanistan itself, at least of the last thirty years, and a tale of mothers and daughters. I'm going to start it as soon as I finish my new Denise Mina mystery. I'll let you know what I think, and what transpires at our book club discussion of the novel. So have you read Ondaatje's or Hosseini's novels? Linking up with Thursday Blog Hop at Over 50, Feeling 40. This one's for you, Mrs Faraday. At first I thought that by "Famous Five" you meant the five Canadian women who petitioned the Supreme Court in the 1920's to have women included in the British North America Act as "persons." Then I realized you were talking about the Enid Blyton books D'uh. I have never read that series...(too busy with Maggie Muggins and Trixie Belden, I guess) but adventures in the English countryside, coupled with smugglers caves and picnics sounds delightful. I might just have to read them now. I really should read more serious books - wish you had been my English teacher . Ah , Enid Blyton's Famous Five series . They are criticized now for being class ridden , racist & sexist & , with hindsight , I guess they are but they taught me how exciting books can be & that can't be bad . I know what you mean, Wendy. My sisters and I read The Bobbsey Twins as children, so my sister was excited to retrieve our old books from the book cupboard at home to read to her kids when they were little. Well...she started reading aloud to her daughter and said she lasted about two or three pages...before she almost gasped at some of the stuff coming out of her mouth. Then she suggested that they could read again the next day and quietly returned the books to the cupboard. I can't remember what it was in the book....something racist I think. Or perhaps more about the attitude, possibly racist and definitely sexist. But I still remember the Bobbsey Twins so fondly....and have always longed to go on a houseboat as a result of one of their books. Now Trixie Belden was not sexist at all....Trixie could do anything the boys did. That had a great influence on me. As for needing to read more serious books... well, I think we've reached an age where there are too many books and too little time to read what we don't want to read! 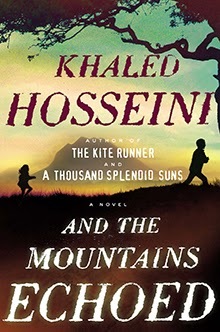 I have Hosseini's 2 books and will have to keep an eye out for this book. I do enjoy his writing. Thank you for the recommendation. Thanks for stopping by, Alice. I catch you next week for TBT link-up. I'm going to bookmark this post just for the photo you've attached to the Ondaatje quotation. The image and the thought are the perfect accompaniments for my short journey toward retirement. Ah yes...a short journey to the open door and a long one on the other side, filled with the as yet undiscovered joys of freedom. Being a Teenager Can Be Murder... Literally.